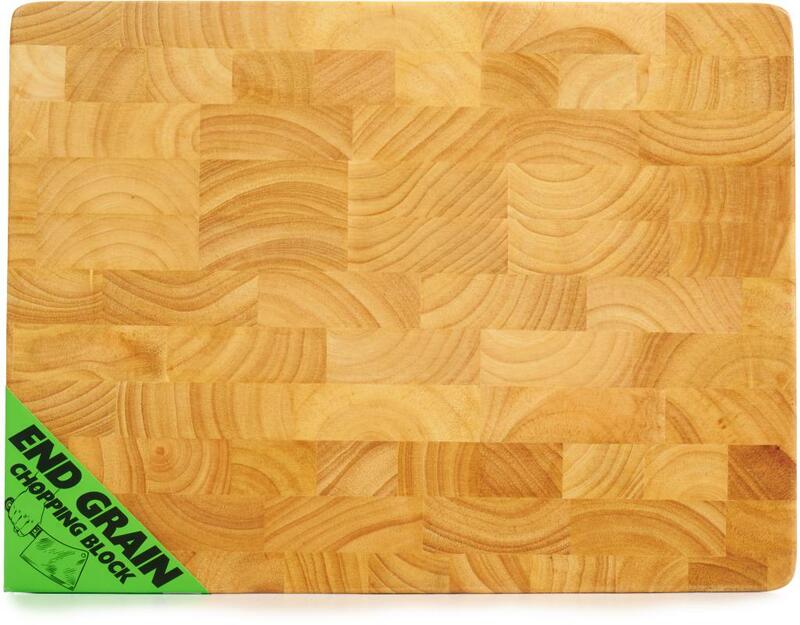 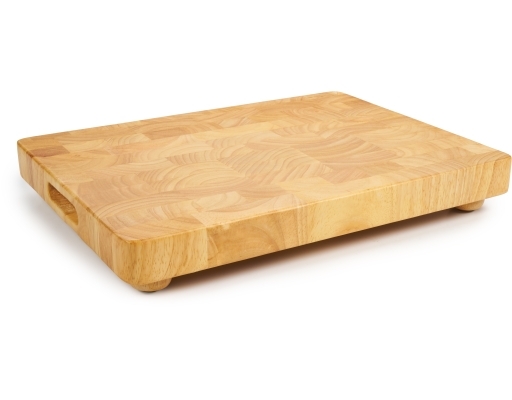 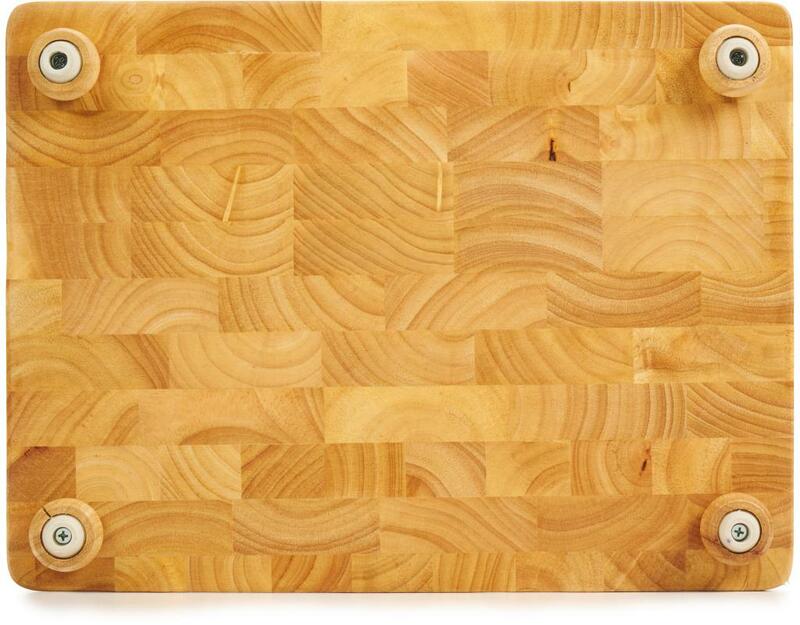 Class up your kitchen and keep your knives sharp with the Catskill End Grain Chopping Block with feet. 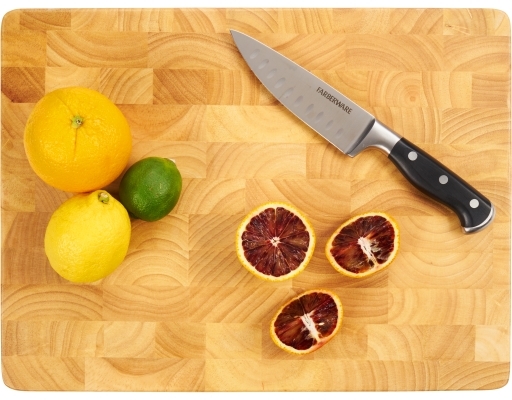 It will not dull knives and its surface is highly durable and resilient. The non-skid rubber feet are padded to protect the surface of your counter as you chop, slice and prep food. 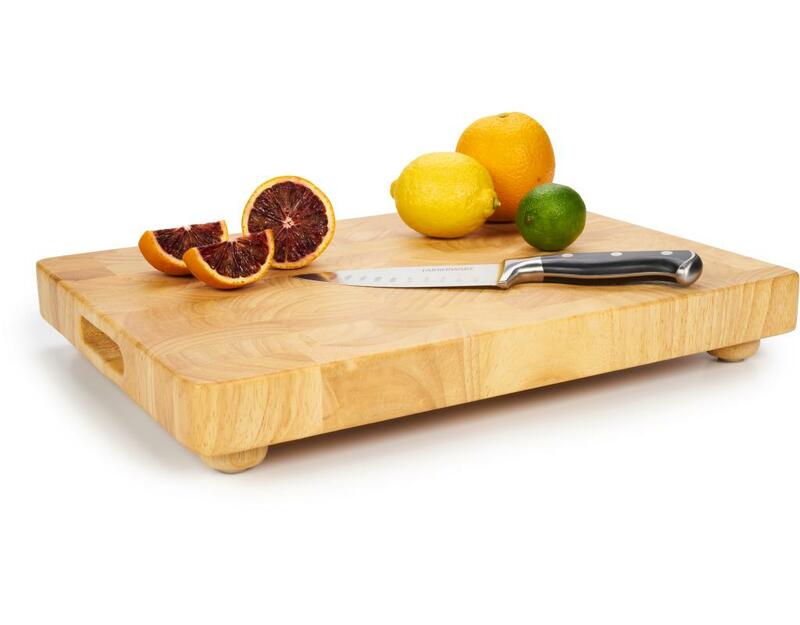 Features sculpted finger slots in the sides for easier transport and control. • 12" x 16" x 1.5"